Lycoming Residence Hall, is shaped like an "L". 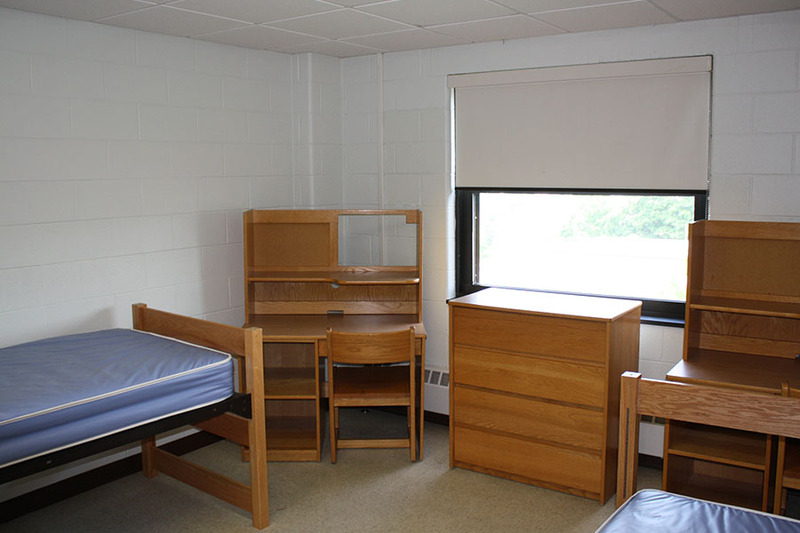 Located on the ground floor are two study lounges (one with a fireplace) and laundry facilities. 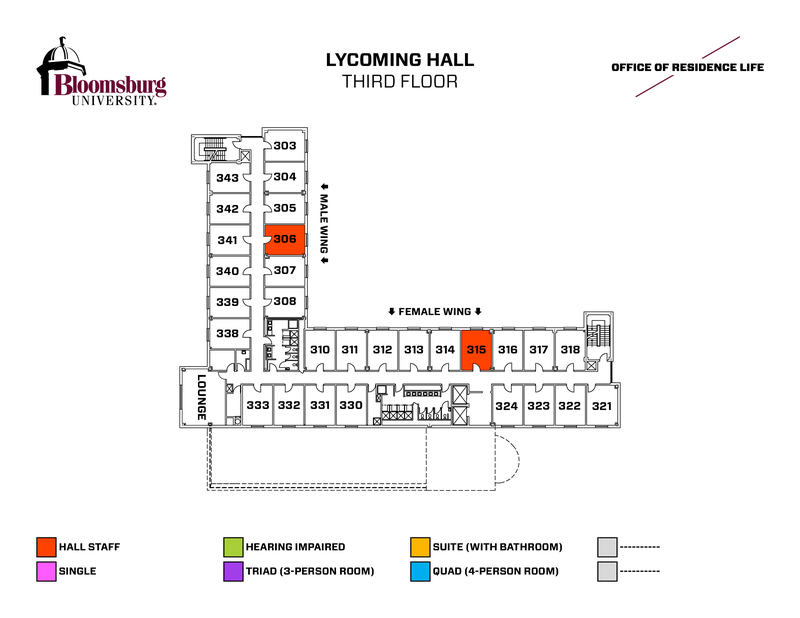 The lobby area houses a reception area and the staff offices. 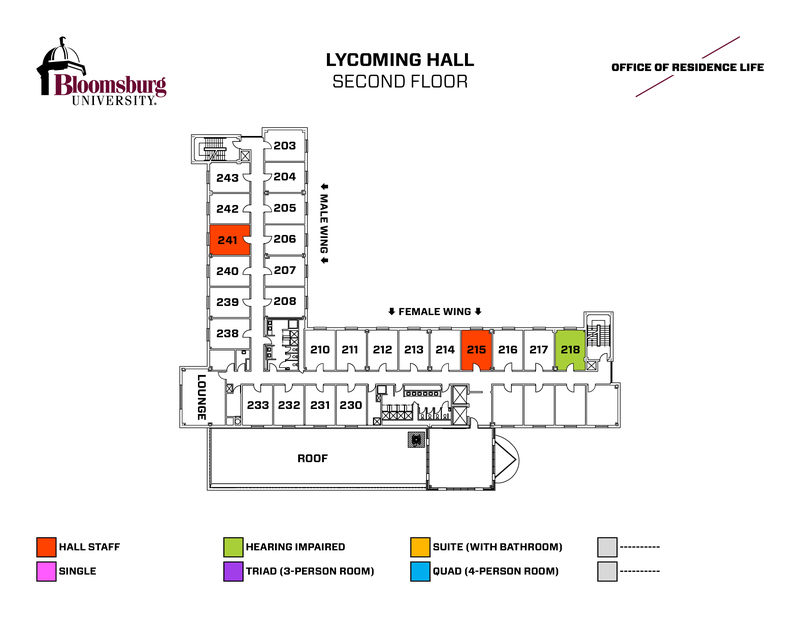 236 students reside in Lycoming Hall. 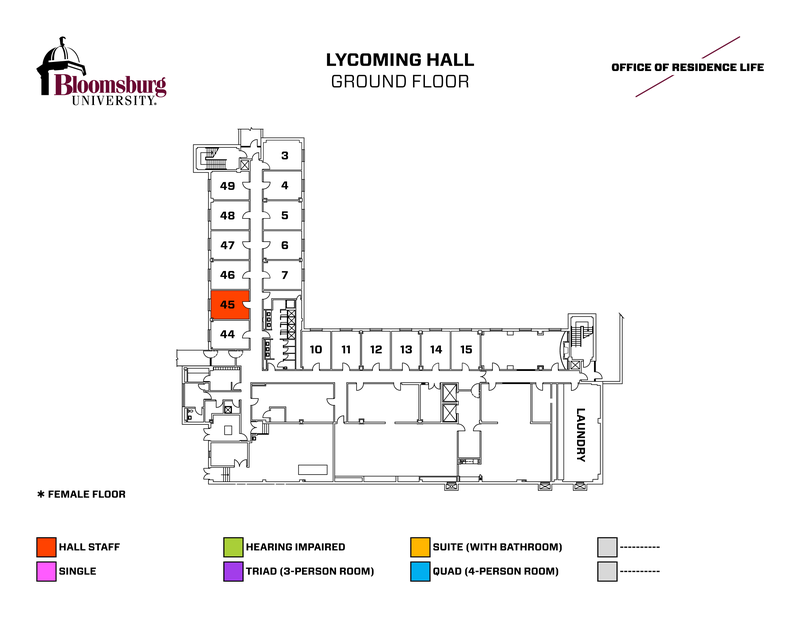 In 2008 Lycoming received a renovated lobby area complete with an open lounge area and large flat-panel television. 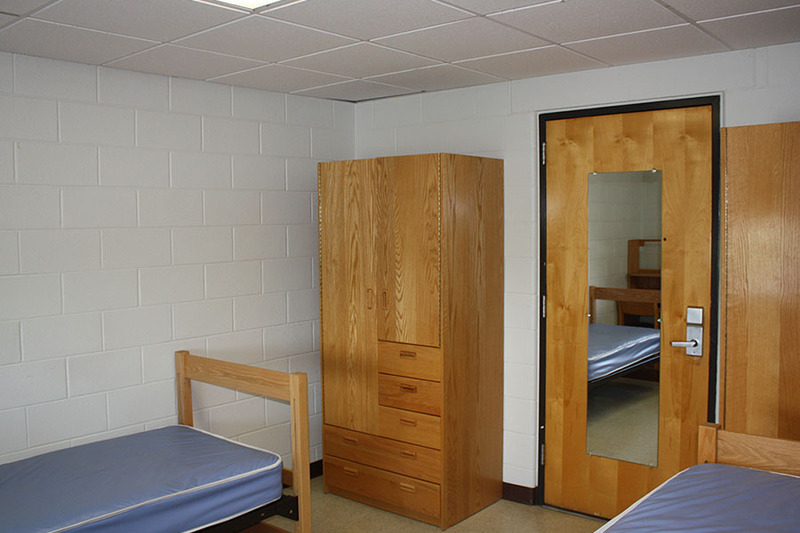 Also included in the renovation was a new study room on the 2nd floor and a fireside lounge on the ground floor. 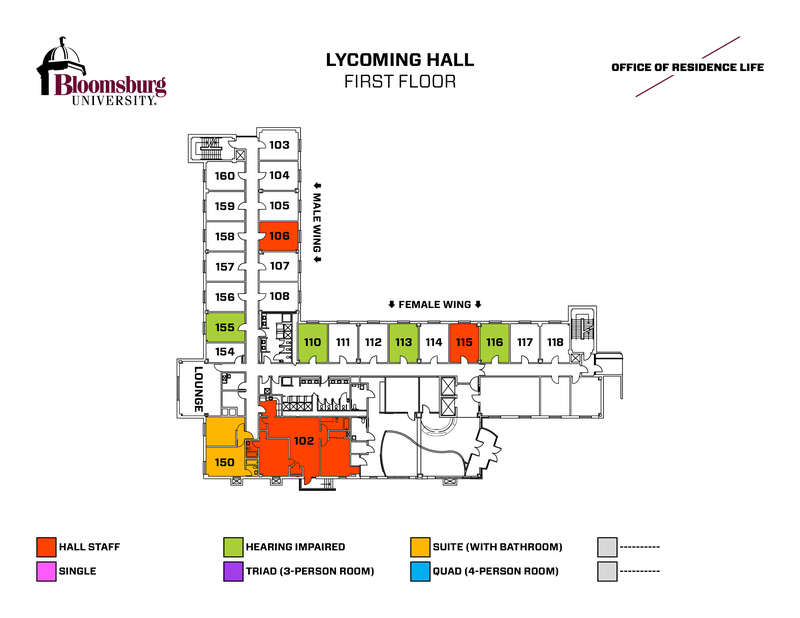 In the Summer of 2018, Lycoming Hall began to undergo renovations which included a new entryway, student spaces and the addition of air conditioning to all student rooms. It cost $1.50 per wash and $1.50 per dry. 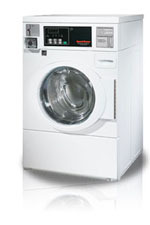 Therefore to wash and dry one (1) load of laundry it will cost $3.00. 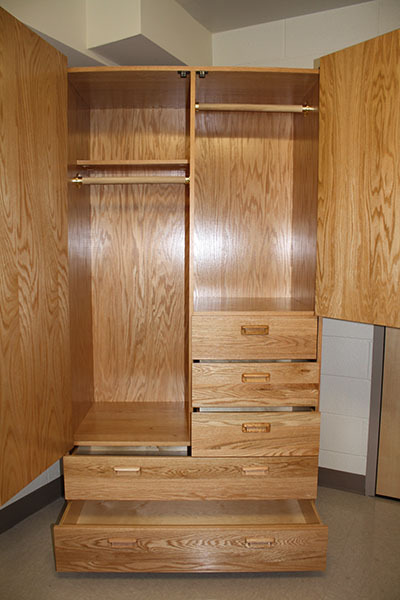 Please Note: Cash is not used for on-campus laundry. Husky Gold accounts will be debited when a University ID card is swiped to start a machine. 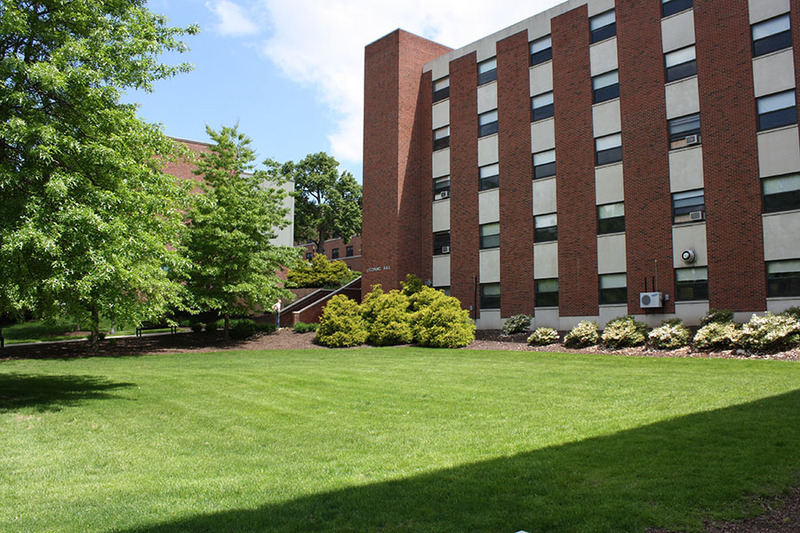 Important: The washers in the residence halls and apartments are not HE (High Efficiency) washers. Please refrain from using HE labeled detergents.